Since our site launched in 2003 we have offered webmasters a wide array of free SEO tools. Now you can know exactly where they rank, pick off their best keywords, and track new opportunities as they develop. 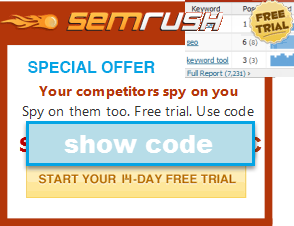 Get keyword suggestions and detailed statistics. Use this tool to compare keyword lists against each other. Clean up your keyword lists. Robots.txt generator & robots.txt analyzer. Generate meta tags for your web page. Verify your server is sending the correct headers. Suggests keywords to search for to find relevant link sources. View your web page like a search engine spider. Analyze the keyword density of your page or competing pages. Compare your web page to competing pages to find keywords. Generate ad groups to upload to AdWords and adCenter. Quickly wrap keywords. Also see our negative wrapper. Generate mispelled keywords based on common typing errors. Competitive & search data directly embeded in search results. Easily & automatically track rankings in Google, Bing & Yahoo. This section links off to the 6 tool categories you need to use to become a highly-profitable SEO expert. At the end of each category description is a link to more in depth information from our training modules. Search Analytics Tools - establish your marketing goals and establish a baseline for where you are at right now. Keyword Research Tools - discover the keywords your customers are searching for right now. On-Page SEO Audits - find out if your pages are well optimized and compare your performance against leading competitors. Competitive Research Tools - see what keywords your competitors are targeting. PPC Tools - buy important keywords and track the results to understand how well they convert,which helps you focus you organic SEO strategy on the most profitable keywords. Link Analysis Tools - start building your link profile and track your progress compared to competing websites. Search Engine Ranking Checkers - determine how effective your marketing is by watching your search engine rankings improve. Does search sound confusing? Don't know where to start? Step by Step: Read our free guide to learning search engine optimization. Glossary: need help defining SEO terms? Video: Learn better from watching than reading? Watch these free SEO videos. News: Read the SeoBook.com blog to stay up to date with the latest changes in SEO. Mindmap: Visualize this information using the Internet marketing mind map, or check out our 'How Google Works' infographic. Learn More: If you like what you see, and want to learn more about online marketing consider joining our community and internet marketing training program. Other SEO & Webmaster Tools - miscellaneous SEO tools like robots.txt tools, server header checker, meta tag generators, and other tools that make it easier to be a webmaster.